Dreamy a-line gown made from a layer filled with stardust and another made from lace. The dress has a deep plunging halter neckline and crystal appliques. 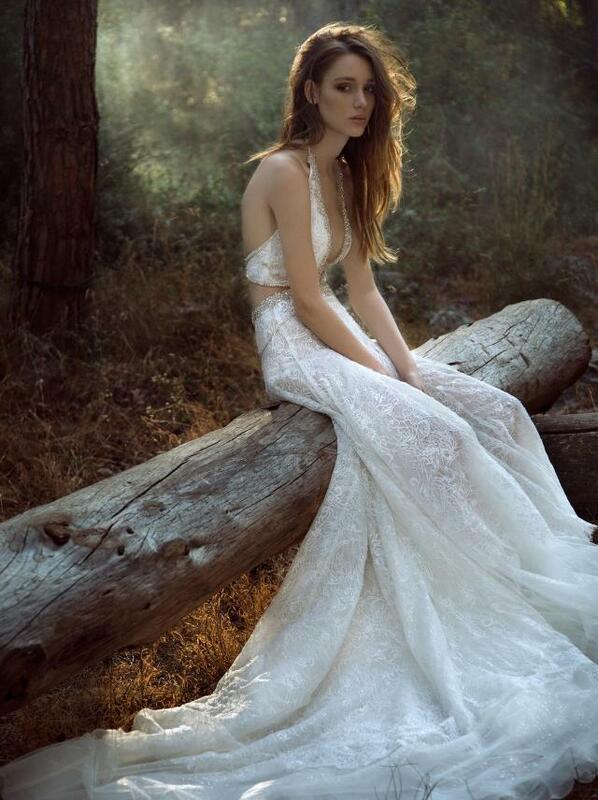 GALA is a premium made-to-order bridal line, handmade with love in Tel-Aviv. The new collection, GALA No. IV reflects an urban-boho bridal look and feel. The collection is inspired by two contradicted motions, intersecting and becoming one- defining a new ‘point-of-you’, a new notion for this dynamic era, 2017. In this collection we invite you, brides, to find a truth, without being conflicted or disturbed of what you should be or could have been.